Again and again we have to deal with emotions in psychotherapy: to accept them, to promote, to strengthen and to mirror them, to be a living example and to develop them, to take up with them, to express, to understand and to regulate them. Research on emotions and their embodiment shows that the ability to expand emotions in the physiology and to tolerate them not only improves emotional outcomes, but also cognitive, behavioural, relational, physical, energetic, and spiritual outcomes. In clinical practice we hardly take into consideration the rich store of knowledge about physiological aspects of emotions, which is a consequence of the long time neglect of the body in psychotherapy. In the same way we tend to neglect the role of the sensomotoric level of affects – physiologically relevant conditions of the body which often come into first place when we experience intensive emotions and which are a central part of our emotional experience on the whole. Physiologically relevant functions for survival have a strong capability of self-regulation by nature. We make use of the principles of these innate powers of self-regulation when we work with difficult emotional experiences in such a way that excess regulation does not destroy emotion and excess emotion does not lead to psychophysiological symptoms. Integral Somatic Psychology (ISP) offers a broader approach that makes possible to include new dimensions in therapeutic work. ISP is built on the psychology of the West as well as the East and helps to better understand the role of the body with its physiological facts. The general principles of ISP have been validated in diverse clinical contexts. In these workshops Raja Selvam, PhD, PhD, explains and demonstrates clinical interventions in the work on different levels of affects or emotions (of primary, secondary and sensomotoric kind) against a background of a more specific knowledge about emotions and (neuro-)physiological changes. The interventions shown are based on diverse theories of physiology and emotions. Raja Selvam includes the central and the peripheral nervous system, the muscles and inner organs, neuro(bio)logical changes and – last, but not least – phenomena of resonance in the relation between client and therapist. Moreover, the training deals with the role of the etheric body in the experiencing of emotions, a very common practice in the East, which is now also becoming recognized in the West. The ISP-Training consists of 3 four-day workshops and includes lectures, guided group exercises, demo-sessions and practical work in small groups. It is possible to book only workshop 1, in case participants are not sure if they want to complete the whole training. Two further workshops may be attended in order to get a final certificate in Integral Somatic Psychology (ISP). After completing the 3 workshops and, in addition to that, 4 personal counseling sessions and 6 units of supervision, the participants receive the certificate of completion. Raja Selvam, PhD, is the developer of Integral Somatic Psychology™ (ISP™), an advanced approach for integrating body, energy, and consciousness into psychological processes in all therapeutic modalities. His eclectic approach draws from bodywork systems of Postural Integration, Biodynamic Cranio-Sacral Therapy, Polarity Therapy, body psychotherapy systems of Reichian Therapy, Bioenergetics, Bodynamic Analysis, Jungian and Archetypal psychologies, psychoanalytic schools of Object Relations and Inter-Subjectivity, Somatic Experiencing® (SE™), Affective Neuroscience, Yoga, and Advaita Vedanta. Raja led teams to India in 2015 and 2016 to treat tsunami victims and to train counselors to increase the local capacity for treating trauma. He led teams to Sri Lanka after the civil war in 2011, 2012, and 2013 to train local counselors to treat traumas of war, violence, loss, and displacement, in collaboration with Kindermissionswerk, Germany, and Don Bosco, Sri Lanka. He is currently involved in increasing trauma treatment capacity among mental health professionals working with underprivileged communities in India, in collaboration with Prafulta, a Don Bosco organization based in Mumbai, India. Raja Selvam is also a senior trainer in Peter Levine’s Somatic Experiencing professional trauma training program and a former member of the board of the Somatic Experiencing Trauma Institute (SETI). He teaches Integral Somatic Psychology and Somatic Experiencing in the United States and around the world. 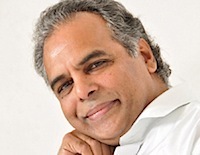 For more information on Raja Selvam and on the theory and practice of Integral Somatic Psychology in somatic perspectives, please visit Raja‘s web site integralsomaticpsychology.com. The first module can be booked as a single workshop. Modules 2 und 3 can only be booked as a package! Modules 2 and 3 can only be booked as a package! € 700,– plus 20% VAT (= € 840,– incl. VAT), drinks during breaks included. Due to the limited number of participants, your registration can only be confirmed officially after receiving the payment. A cancellation has to be provided and confirmed in written form. Since modules 2 and 3 can only be booked as a package, a cancellation of can only be accepted when an alternate participant steps in.